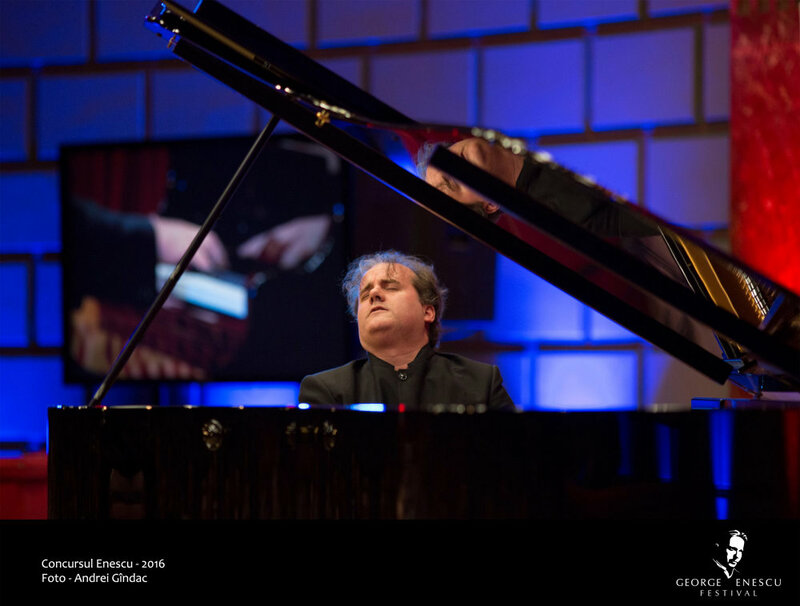 As a First Prize winner of the XIII George Enescu International Piano Competition in Bucharest (founded in 1958 and won by legendary pianists such as Radu Lupu, Elisabeth Leonskaja, and Dmitri Alexeev), the XV José Iturbi International Piano Competition and the First European Union Piano Competition, held in Prague, Spanish pianist Josu De Solaun has been invited to perform in distinguished concert series throughout the world, having made notable appearances in Bucharest (Romanian Athenaeum), Venice (Teatro La Fenice), Saint Petersburg (Mariinsky Theatre), Washington, DC (Kennedy Center), New York (Carnegie Hall, Metropolitan Opera), Princeton (Taplin Hall), London (Southbank Centre), Paris (Salle Cortot), Leipzig (Schumann Haus), Taipei (Novel Hall), Mexico City (Sala Silvestre Revueltas), Prague (Nostitz Palace), Rome (Academia de España), Menton (Festival International de Musique), and all major cities of Spain. 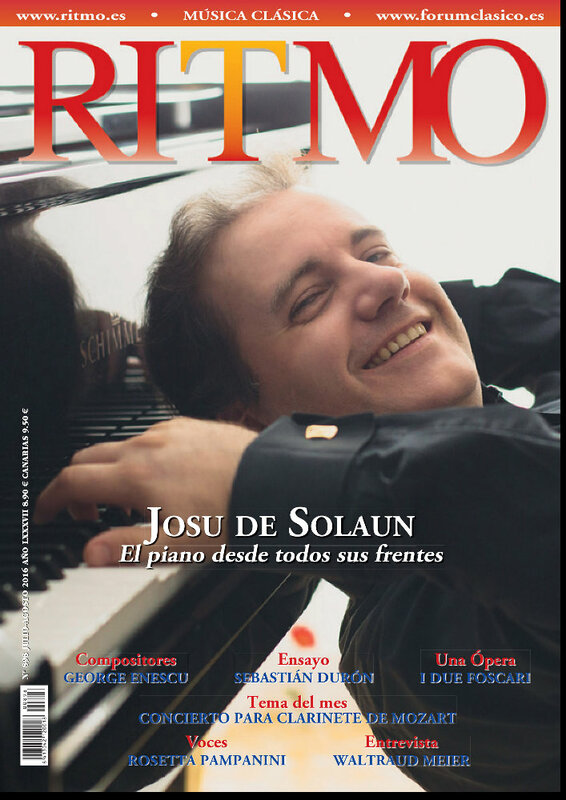 He is the only pianist from Spain to win the Enescu and Iturbi competitions in their respective histories, and was recently invited to a private reception with the King and Queen of Spain at the Royal Palace after winning the coveted Bucharest prize. 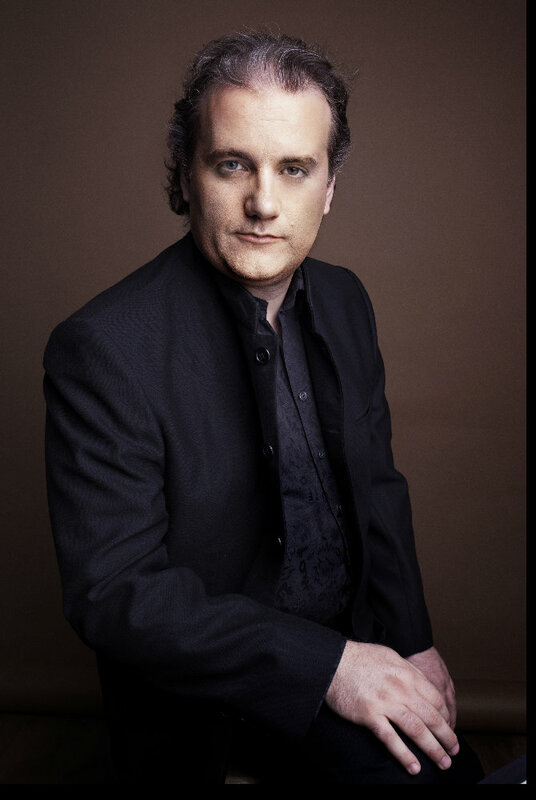 Beginning at a young age, he has performed in France, Georgia, Italy, Russia, Ukraine, Canada, Germany, Japan, China, Bulgaria, the Czech Republic, Poland, the Netherlands, Mexico, Chile, and Switzerland as a recitalist, chamber musician, and concerto soloist, playing under conductors such as Constantin Orbelian, Ormsby Wilkins, Gheorghe Costin, Romeo Rimbu, Ilarion Ionescu-Galati, Robert Houlihan, Karl Sollak, Marco de Prosperis, Alvise Casellati, Ovidiu Balan, Horia Andreescu, Radu Postavaru, Christian Badea, Bruno Aprea, Ramón Tébar, Justus Frantz, Francesco Angelico, Yaron Traub, Max Bragado, Paul Daniel, Ryan Haskins, Theodore Kuchar, Constantine Orbelian, Jonathan Pasternack, Yuri Krasnapolsky, Ormsby Wilkins, Alexis Soriano, Francisco Valero, and Miguel Ángel Gómez Martínez, among others, as well with orchestras such as the Mariinsky Theatre Orchestra of Saint Petersburg, Orchestra Filarmonica la Fenice of Venice, George Enescu Philharmonic of Bucharest, Timisoara Philharmonic, Ploiesti Philharmonic, Iasi Philharmonic, Targu Mures Philharmonic, Satu Mare Philharmonic, Orquesta Sinfónica de Bilbao, Orquesta de Valencia, Rudolf Barshai Moscow Chamber Orchestra, Sioux City Symphony Orchestra, Monterey Symphony Orchestra, Orquesta Sinfónica de Euskadi, Mexico City Philharmonic Orchestra, Janacek Philharmonic Orchestra, Real Filharmonia de Galicia, Spain’s Radio and Television Orchestra (RTVE), American Ballet Theatre Orchestra of New York, Lviv Philharmonic Orchestra of Ukraine, and Bari Philharmonic Orchestra of Italy. 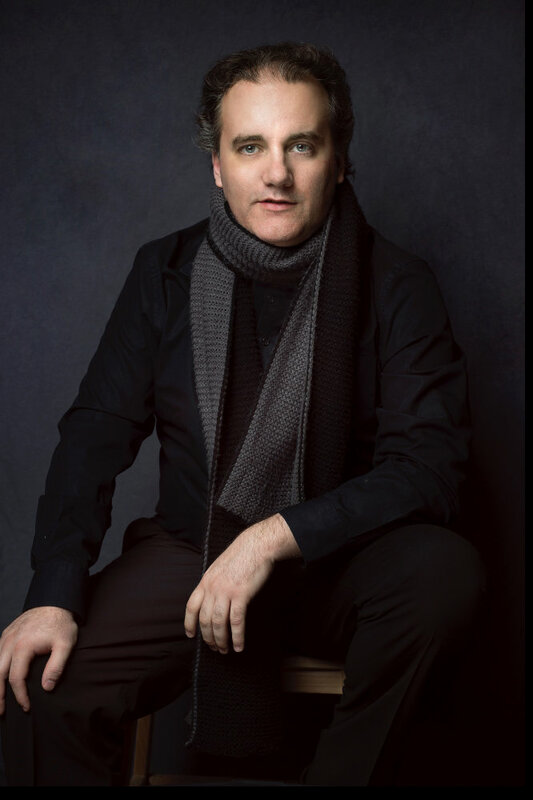 His performances have been broadcast on Spanish National Radio and TV, Taiwanese National TV, Czech National TV, as well as on New York’s WQXR, Princeton’s WPRB, and Chicago’s WFMT. Described by Pablo Casals as "the greatest musical phenomenon since Mozart", George Enescu's prodigious virtuosity as a violinist, pianist and conductor made him one of the most renowned musicians of his day. 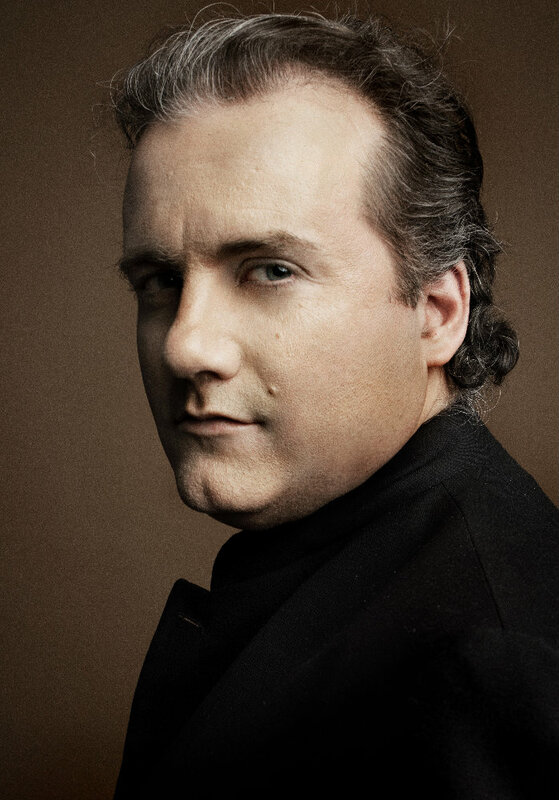 His fascination with the indigenous music of Romania can be heard in the haunting melodies of his Nocturne, and the Pièces Impromptues that conclude with an uncanny evocation of bells in the remarkable Carillon Nocturne. The massive First Piano Sonata lays a strong claim to be one of the 20th century's greatest. This third and final volume dedicated to Enescu’s piano works shows the unique blend of influences he acquired during his teenage years in Vienna and Paris. 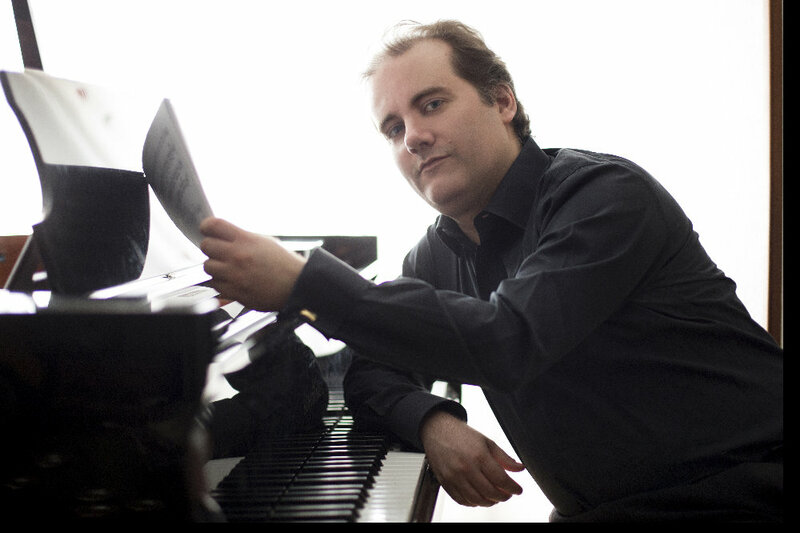 These start with his Brahms-like treatment of the piano as a symphonic instrument in the Scherzo and Ballade to the infusion of French late-Romanticism and Fauré in the Impromptus. The crowning achievement of these early compositions is the Suite dans le style ancien, Enescu’s first public solo piano opus, a stylised evocation of Bach seen through the prism of turn-of-the-century Paris. Described by Pablo Casals as "the greatest musical phenomenon since Mozart", George Enescu's prodigious virtuosity as a violinist, pianist and conductor made him one of the most renowned musicians of his day. His fascination with the indigenous music of Romania can be heard in the haunting melodies of his Nocturne, and the Pièces Impromptues that conclude with an uncanny evocation of bells in the remarkable Carillon Nocturne. The massive First Piano Sonata lays a strong claim to be one of the 20th century's greatest. The four works in this second of three volumes devoted to Enescu’s piano music range over a period of more than 30 years. The earliest is the joyful, ebullient Suite ‘Des cloches sonores’, Op. 10 which covers a wide expressive range including use of the melancholy Romanian song, the doina. The Piano Sonata No. 3, Op. 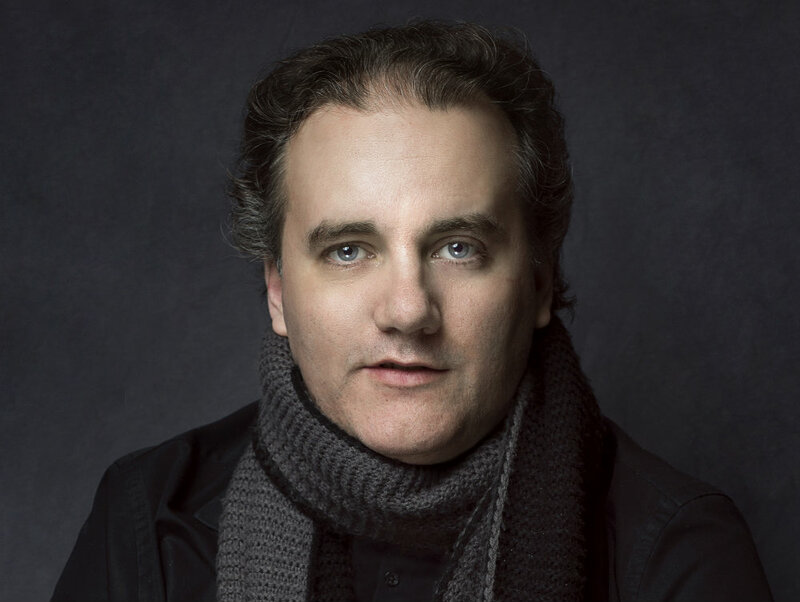 24 is a mercurial, puckish work, both spirited and contemplative, and the Pièce sur le nom de Fauré is a charming souvenir from one composer to another. Described by Pablo Casals as "the greatest musical phenomenon since Mozart", George Enescu's prodigious virtuosity as a violinist, pianist and conductor made him one of the most renowned musicians of his day. His fascination with the indigenous music of Romania can be heard in the haunting melodies of his Nocturne, and the Pièces Impromptues that conclude with an uncanny evocation of bells in the remarkable Carillon Nocturne. The massive First Piano Sonata lays a strong claim to be one of the 20th century's greatest. 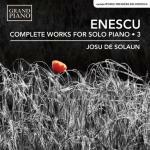 This first of three discs devoted to George Enescu’s piano music presents three significant pieces. Indebted to Romanian folk music and in three large sections, the ruminative yet striking Nocturne in D flat is a work of shifting sonorities and moods. The Pièces impromptues, Op. 18 are independent, unrelated character pieces that illuminate once again the composer’s fascination with the indigenous music of Romania. The Sonata No. 1 in F sharp minor, Op. 24, No. 1 is—by contrast—a massive statement characterised by harmonic surprises, innovative techniques, insistent rhythms and, in the final, slow movement, the doina, a type of Romanian song at once contemplative, nostalgic and melancholic. The three works on this recording were composed at a crucial juncture in Stravinsky’s musical life. The Soldier’s Tale, a small-scale theatrical work for instrumental septet, narrator and two speakers completed in 1918 [Naxos 8.573537]. It is performed here in the suite premièred in 1920. The Octet marked a new element in Stravinsky’s writing, inaugurating a turn to neo-classicism, whilst Les noces (The Wedding) is a ballet cantata impelled by dramatic motor rhythms, and once again saturated in his Russian background. Scored for pitched and unpitched percussion, vocal soloists, and mixed chorus, it is a pivotal work in Stravinsky’s development. Tuesday, November 8, 2016Soloist with SHSU Symphony OrchestraJames and Nancy Gaertner Performing Arts CenterHuntsville, TX, USAConductor: Jacob SustaitaSaint-Saens Piano Concerto Nr. 5, "Egyptian"
Sunday, May 29, 2016Chamber Music RecitalMalaga Clasica Chamber International Chamber Music Festival (4thMalaga, SPAINwith Nils Georg Nilsen, Jesus Rina, Regi Papa, Eleanor Kendra James, Ben Capps, and Anna PetrovaRichard Strauss's Morgen, Op. 27 Nr. 4, and Zueignung, Op. 10 Nr. 1 (arr. for voice and ensemble). Tuesday, August 11, 2015Concerto Soloist with Orchestra del Teatro La Fenice di Venezia Belvedere di Villa Ruffolo (RAVELLO FESTIVAL)Ravello, ITALYWith violinist Stefan Tarara, and cellist Eun-Sun Hong. Broadcast from RAI Television. Monday, August 10, 2015Concerto Soloist with Orchestra del Teatro La Fenice di VeneziaBelvedere di Villa Ruffolo (RAVELLO FESTIVAL)Ravello, ITALYWith violinist Stefan Tarara, and cellist Eun-Sun Hong. Broadcast from RAI Television. 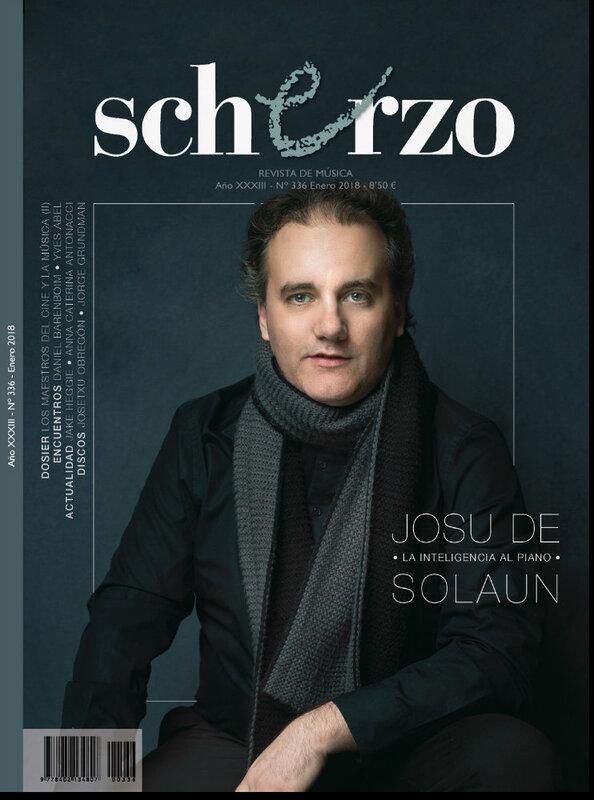 "Continuing the theme of the Monterey Symphony’s present season — “Concert Grand” — a season that includes in each concert a piano concerto soloist, we had the pleasure of hearing pianist Josu de Solaun returning to perform for us for the third time. Joining Conductor Max Bragado-Darman and the Monterey Symphony musicians, Solaun was soloist in a rarely heard concerto, the Concerto No. in F Major, Op. 103 by Camille Saint-Saëns. 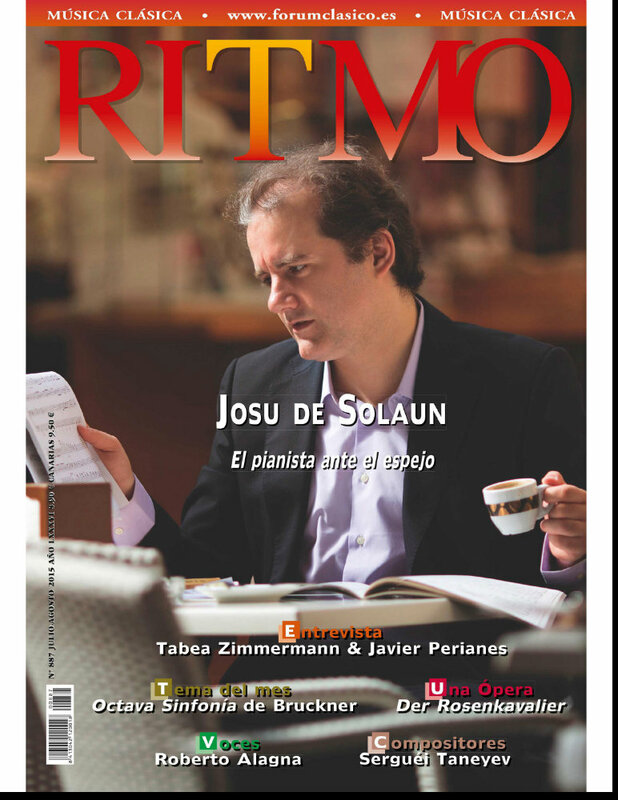 "Solaun rebasó las más optimistas especulaciones y bordó una versión sencillamente excepcional [del Segundo Concierto Op. 16 de Prokofiev]. Apoyado en un pianismo poderoso, sabio, de exquisita factura y grandiosa musicalidad, protagonizó una versión de referencia de la vanguardista obra maestra. Después de esta interpretación memorable, hay que afirmar sin tapujos ni más rodeos que estamos ante uno de los más interesantes y prometedores valores del teclado contemporáneo. 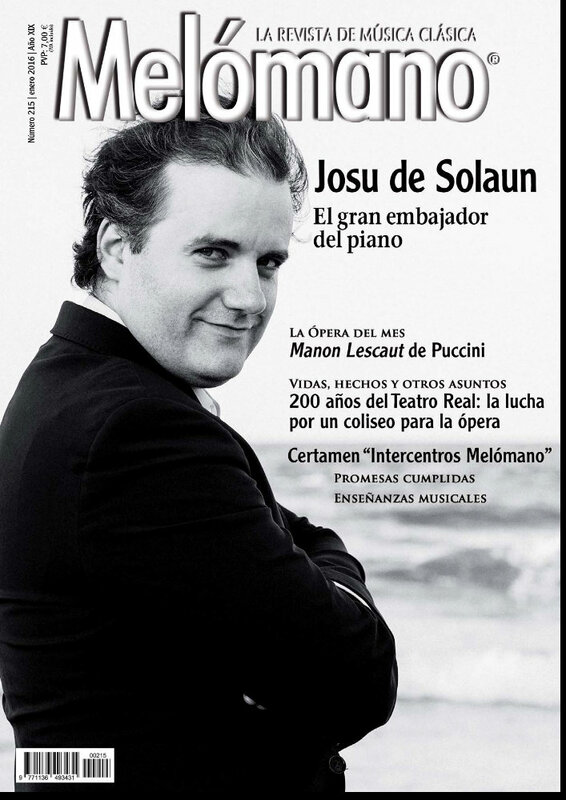 Pocos pianistas del circuito internacional existen tan capacitados para abordar este desafío [el Segundo Concierto Op. 16 de Prokofiev] como De Solaun, dominador de una resplandeciente técnica de intenso calado dramático, en la que asoman con fuerza el origen soviético de su depurada escuela pianística –Horacio Gutiérrez, cubano formado en Moscú; Nina Svetlanova, alumna de Heinrich Neuhaus- y una cultura pianística, una capacidad de trabajo y un talento natural absolutamente excepcionales.